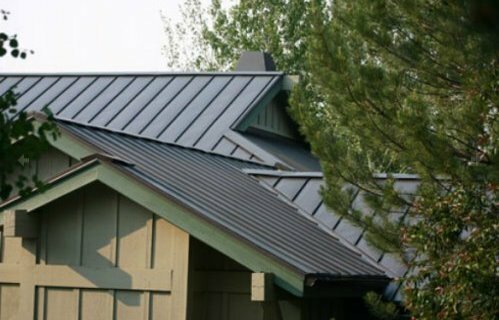 Our metal roofs and sustainable metal roof materials are environmentally conscious and add protection, value, energy efficiency and lifetime assurances for homeowners. 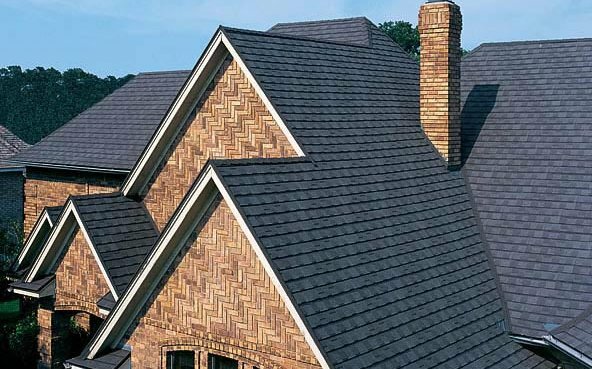 We will help you research metal roof materials so you can ultimately determine the best course of action for your home, building or project. Let our experienced, objective team help you sift through metal and sustainable roof products, manufacturers and provide a list of certified installers. 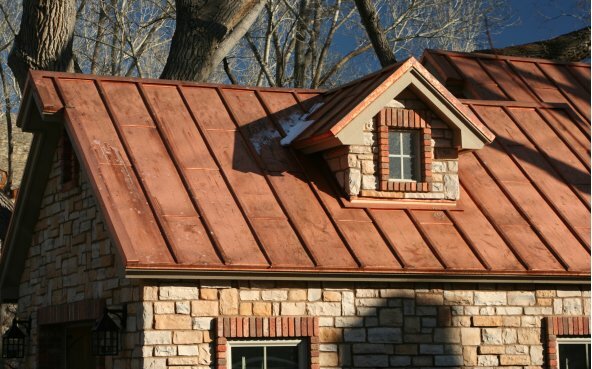 Once you have the information to make your decision, let us help you get the metal roof you want at a fair price. Linthicum Corporation would like to take this moment and say thank-you for the services you provided to the MC-195 project. The level of manpower, leadership, speed and quality of which your products were brought to the project were very impressive. Once onsite, there was constant activity and not a deadline was missed. This was no small task given the size of the building footprint. The success of this project was only possible with companies like True Green Roofing. Linthicum looks forward to working together in the future and building on an existing relationship based on trust, honesty and performance. It has truly been a pleasure working with True Green Roofing. Thank you for a great job well done. Linthicum Corporation would like to take this moment and say thank-you for the services you provided to the MC-195 project. The level of manpower, leadership, speed and quality of which your products were brought to the project were very impressive. Once onsite, there was constant activity and not a deadline was missed. This was no small task given the size of the building footprint. The success of this project was only possible with companies like True Green Roofing. Linthicum looks forward to working together in the future and building on an existing relationship based on trust, honesty and performance. It has truly been a pleasure working with True Green Roofing. Thank you for a great job well done. Just a quick email to say that the roof looked GREAT!! My wife and I love it and so do my neighbors. The color, craftsmanship, and edgework was terrific. I am very glad to have chosen your company to do the job. Please let the guys know that we are really happy and that they are all excellent! Done just in time too, as it rained late Saturday and snowed on Sunday. Now pretty much all week. We’ll talk soon. Hi Audrey, Just a quick email to say that the roof looked GREAT!! My wife and I love it and so do my neighbors. The color, craftsmanship, and edgework was terrific. I am very glad to have chosen your company to do the job. Please let the guys know that we are really happy and that they are all excellent! Done just in time too, as it rained late Saturday and snowed on Sunday. Now pretty much all week. We’ll talk soon. Wanted to thank you and the guys for the great job you did on the roof. Making sure that the pipes and vents were painted to go along with the color scheme of the roof and house was very professional. We have had some extremely strong winds the past few months as well as rain and snow, and no complaints. The roof is solid, and sealed! I cannot thank you enough for working so hard and being so creative and flexible in getting down to my budget. The lifetime warranty steel roof for nearly the same price as a composite shingle roof is a no brainer! Wanted to thank you and the guys for the great job you did on the roof. Making sure that the pipes and vents were painted to go along with the color scheme of the roof and house was very professional. We have had some extremely strong winds the past few months as well as rain and snow, and no complaints. The roof is solid, and sealed! I cannot thank you enough for working so hard and being so creative and flexible in getting down to my budget. The lifetime warranty steel roof for nearly the same price as a composite shingle roof is a no brainer! Thanks again! Our family had the good fortune of recently meeting Audrey Smith, one of the owners of True Green Roofing Solutions.The timing couldn't have been better. We needed a new roof -- she had the experience, knowledge and resourcefulness to assist us, We couldn't be happier with our decision to have her company do the job. In particular, the roofers were craftsmen ( and gentlemen) of the highest quality.Our home now has a beautiful steel roof over the existing 45 year old shake roof at a very reasonable price. The additional layer of insulation should make us more comfortable all-year round. In my opinion, and without fear of contradiction, one could not find a better roofing company than True Green Roofing Solutions. I'm certain that Audrey would provide you with our address in Tahoma if you live in the area, or would send you a photo of our home if you live outside the Tahoe Basin. This recommendation carries my strongest endorsement -- your satisfaction is clearly predictable. Audrey, Our family had the good fortune of recently meeting Audrey Smith, one of the owners of True Green Roofing Solutions.The timing couldn't have been better. We needed a new roof -- she had the experience, knowledge and resourcefulness to assist us, We couldn't be happier with our decision to have her company do the job. In particular, the roofers were craftsmen ( and gentlemen) of the highest quality.Our home now has a beautiful steel roof over the existing 45 year old shake roof at a very reasonable price. The additional layer of insulation should make us more comfortable all-year round. In my opinion, and without fear of contradiction, one could not find a better roofing company than True Green Roofing Solutions. I'm certain that Audrey would provide you with our address in Tahoma if you live in the area, or would send you a photo of our home if you live outside the Tahoe Basin. This recommendation carries my strongest endorsement -- your satisfaction is clearly predictable. We were in need of re-roofing our historical office building. We had many challenges including age of the building, complexity of the roof and building insulation issues. We did our research and because we wanted to maintain the authentic look of our cedar shake roofing, increase our insulating value and NEVER re-roof again, we called the metal experts at True Green Roofing Solutions. Their response to our needs was professional, timely and very informative. We chose a stone coated shake roof by Gerard Roofing Technologies and received a beautiful roof at a fair price. We love the look of the new roof and are comforted knowing we don’t have to worry about fire or replacement. The installers were true craftsmen and met our every need. True Green Roofing gets our highest stamp of approval and appreciation! We were in need of re-roofing our historical office building. We had many challenges including age of the building, complexity of the roof and building insulation issues. 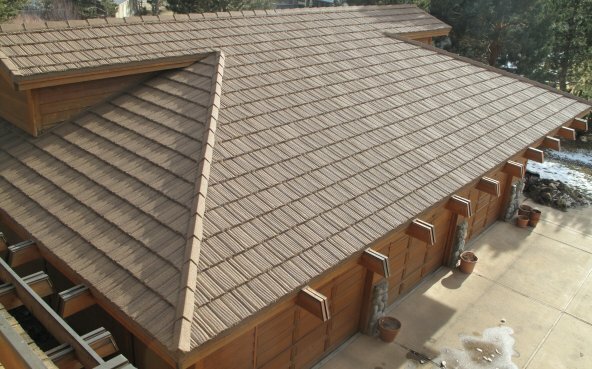 We did our research and because we wanted to maintain the authentic look of our cedar shake roofing, increase our insulating value and NEVER re-roof again, we called the metal experts at True Green Roofing Solutions. Their response to our needs was professional, timely and very informative. 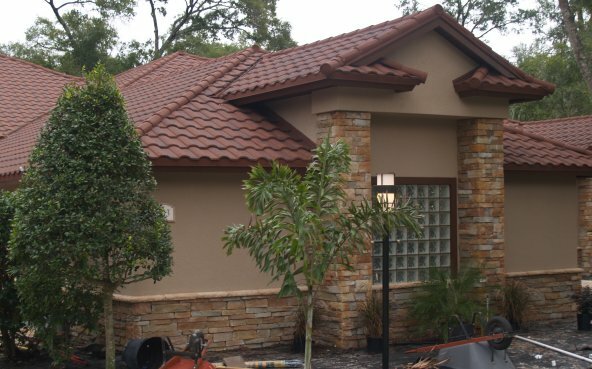 We chose a stone coated shake roof by Gerard Roofing Technologies and received a beautiful roof at a fair price. We love the look of the new roof and are comforted knowing we don’t have to worry about fire or replacement. The installers were true craftsmen and met our every need. True Green Roofing gets our highest stamp of approval and appreciation! 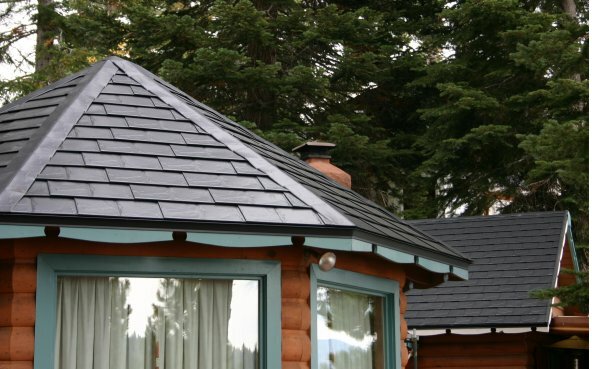 In the spring of 2009 my husband and I drove from the South Shore of Lake Tahoe to Truckee for a home and garden show – we knew we were going to need to replace the old shake roof on our log cabin. It can be difficult at times to find good, reliable businesses in Lake Tahoe – a business willing to take a job, show up and provide quality work for a competitive price. There were many vendors at the home and garden show and displays everywhere. We had been doing some research and felt that a steel shake roofing system would work best for us. We had found True Green Roofing Solutions on line and had been emailing Audrey Smith prior to home show. When we found Audrey by her display and introduced ourselves we felt a connection right away. Audrey was very knowledgeable. She had a portfolio of all the jobs her company has done – and we were pleased that there were pictures of the roof we were interested in. She even had sample pieces of the roofing for us to see. We were impressed and scheduled to have her come by the cabin so she could provide us with an estimate. From that moment on everything moved along like clockwork. The crew showed up on time everyday, worked hard throughout the day, cleaned up after themselves, were polite and considerate of our property. Audrey came by several times to check up on the progress. The results exceeded our expectations. We are so pleased with our new roof. Audrey Smith and True Green Roofing Solutions are professional, thorough, knowledgeable, friendly, and reliable. We would highly recommend Audrey and her company. It is such a shame we don’t have another roof for them to do because it was a pleasure doing business with them. Thank you for all the coordinating between installers. I can't thank you enough for getting this job done. You are a "true pro". I was so impressed how quickly you replied to my phone callsand your pleasant attitude through out the entire job. Thanks for getting Taylormade Roofing to do the installation. Please thank Mitch Taylor for a great job, installing and for his patience with the stucco problem, which he helped me correct. I wouold be more than happy to recomend anyone about the quality of your work. - Craig & Susan T. - Truckee Ca. Audrey, Thank you for all the coordinating between installers. I can't thank you enough for getting this job done. You are a "true pro". I was so impressed how quickly you replied to my phone callsand your pleasant attitude through out the entire job. Thanks for getting Taylormade Roofing to do the installation. Please thank Mitch Taylor for a great job, installing and for his patience with the stucco problem, which he helped me correct. I wouold be more than happy to recomend anyone about the quality of your work.